Proliferative therapy is an innovative medical treatment, but it isn’t new. In the 4th century BC, Hippocrates used proliferative therapy, also known as prolotherapy, to stop bleeding with cauterization. As a result, he discovered the added healing benefits of this treatment, which resulted in healthier ligaments and joints. However, it wasn’t until the 1950s, when Dr. George S. Hackett, a U.S. general surgeon, began performing injections of irritant solutions in an effort to repair joints and hernias that we know as modern day prolotherapy. Beverly Hills orthopedic surgeon and regenerative medicine expert Dr. Steven Meier and his team at Meier Orthopedic Sports Medicine offer cutting-edge prolotherapy for a long list of orthopedic problems, including chronic injuries that have not improved with inside-the-box treatments. To find out if you are a good candidate for prolotherapy, contact Meier Orthopedic Sports Medicine at (310) 853-1029 to schedule a consultation. Prolotherapy in Beverly Hills is a regenerative medicine therapy that naturally stimulates the repair of soft tissue, joints, and connective tissue injuries. As a result of damaged connective tissue, arthritis can develop in the joint, and lead to permanent disability or chronic pain. The good news is that prolotherapy in Beverly Hills is a joint pain treatment that can help prevent long-term damage from occurring in the first place. Prolotherapy initiates the body’s natural healing process with simple injections into injured joints, causing a stress inflammation reaction. This inflammation results in joint tissue rehabilitation by increasing cell migration to the weakened or injured area, which creates new, strengthened tissues. In addition, prolotherapy in Beverly Hills helps stimulate the body to make more collagen. Through regenerative injection therapy, the immune system begins to produce more collagen naturally. The production of new collagen also facilitates tissue repair, which allows for strengthened and restored tendons, ligaments, and joints, and ultimately, translates into more significant and/or permanent pain relief. What are in Prolotherapy Injections? There are several different types of injections that have proven to be successful in prolotherapy, including the use of chemical irritants, osmotic agents, and particulates. Each one works in diverse ways to encourage the body to heal itself through its own natural processes. As a result, prolotherapy facilitates healing by building new tissue, restoring joint stability, and eliminating the source of the pain. Prolotherapy uses a combination of solutions that include an anesthetic and proliferant to alleviate the “pain trigger,” while at the same time strengthening the ligaments and tendons at the site of the injury. Prolotherapy allows the body to create new healthy tissue, so the positive effects can be permanent. Because prolotherapy in Beverly Hills is given in a series of injections, results improve over time. Prolotherapy is a non-invasive treatment that stimulates the body’s natural healing mechanisms. The potential side effects of regenerative injection therapy are rare but may include temporary swelling, headache, nausea, stiffness, soreness, and tiredness. These side effects usually resolve in 2-4 days after treatment. How Many Treatments are Necessary for Maximum Results? While the number of prolotherapy sessions will vary from patient to patient, the main goal of proliferative therapy is to help each patient return to optimal function. The maximum benefits of prolotherapy are achieved when the patient’s full strength and endurance are reached and his or her joint function has been restored. The benefits of a joint pain treatment like prolotherapy evolve gradually. The main goal of prolotherapy in Beverly Hills is to allow each patient to be able to perform physical activities with less pain. 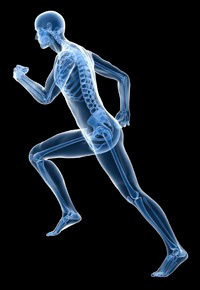 For example, the degree of ligament/joint laxity and underlying arthritis will impact the number of treatments needed. In general, it is recommended to start with 3-5 sessions of prolotherapy injections performed at 2-4 week intervals. After that, an evaluation is advised to determine if more regenerative medicine injection treatments are needed. To learn more about prolotherapy, please visit Wikipedia.org. Chronic pain as a result of musculoskeletal injuries can decrease a person’s ability to perform daily activities: from work to exercise. For more information on how prolotherapy can help improve function and reduce pain in your daily life, contact Meier Orthopedic Sports Medicine by calling (310) 853-1029 to request a consultation with Dr. Meier today. Next, read our blog, Can a Hip Arthroscopy Restore Your Mobility?